Your entire life is on your phone...so you don't want to leave the safety of its content to chance. Instead of waiting until something goes wrong, get proactive and protected. 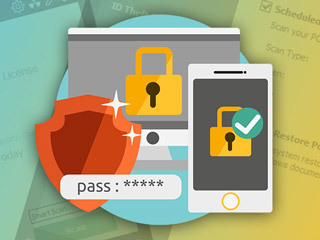 Get a three-year premium subscription to Zemana Mobile Antivirus for $14.99 at Escapist Deals. Get a year-long subscription for $9.99. Zemana Mobile Antivirus has gotten 4 stars on 1,600+ Google Play reviews, and it's no wonder why it's got so many fans. Just easily install it and it'll get to work, keeping you protected from malware, spyware, viruses, key loggers, Trojans, and more. Better yet, it'll do it all five times faster than standard antivirus software. And it won't drain your battery life as it works in the background. Zemana Mobile Antivirus has also been tested and certified byAV-TEST, the #1 antivirus testing house. Get a three-year premium subscription to Zemana Mobile Antivirus for $14.99 at Escapist Deals. Get a year-long subscription for $9.99.